Initially, we dealt mainly with the local purchase of steel and cast iron scrap, non-ferrous metals and waste paper, film and plastics. 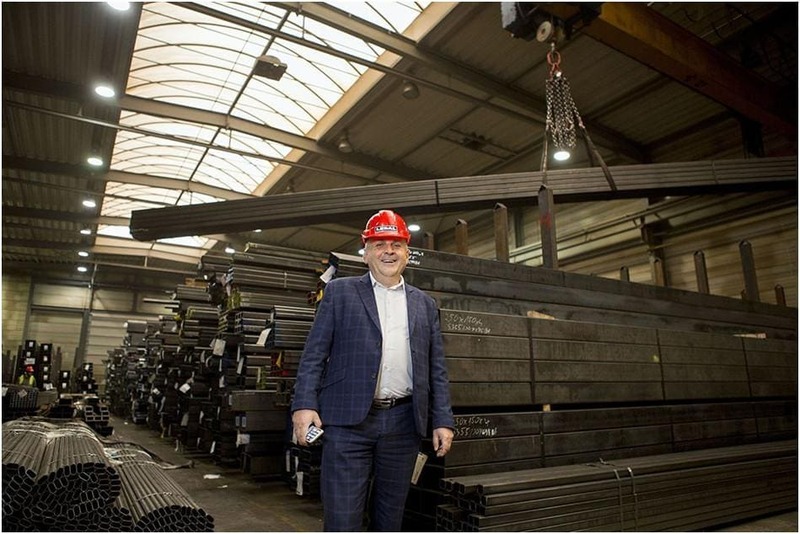 The good business climate encouraged us to expand our offer and we began to trade steel tubes and hollow sections. Currently, the company deals in professional distribution of goods for both industries and focuses on its continuous development. Our offer includes: hot-rolled sheets, hot-rolled profiles, cold formed profiles, seamless and seamed tubes. We offer: purchase and sale of recyclable materials as well as comprehensive plant service. Having experience, references, and professional equipment, we are able to demolish building facilities and dismantle large industrial equipment. We offer a range of additional services on request related to our business, to ensure that purchased material meets the expectations of our customers. Lebal was established on April 26, 2012 as a joint-stock company. Initially, the scope of its activities was to include local markets, but the board's aspirations were much higher. Originally, the company's activity was based mainly on the purchase of steel and iron scrap, non-ferrous metals and waste paper, film and plastics. Each customer will receive our assistance and support in finding the optimal method of demolishing the given object. We take care of all the required permits and secure the entire work area. W tym roku obyła się 19 edycja rankingu najbardziej dynamicznie rozwijających się małych i średnich przedsiębiorstw. Sprawdź nasze produkty w atrakcyjnych cenach. Zachęcamy do przeczytania artykułu, który ukazał się w ogólnopolskim dzienniku gospodarczym „Puls Biznesu” na temat funkcjonowania i poszerzania działalności naszej firmy. Zapraszamy do lektury! Integracja pracowników firmy LEBAL S.A.
W dniach 08-09 czerwca 2018 w zamku w Tucznie odbyła się pierwsza oficjalna integracja pracowników firmy LEBAL S.A. Zorganizowane zostały gry zespołowe pod hasłem „Drużyna Lebala nigdy nie nawala”.